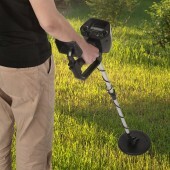 This Handheld Metal Detector with Adjustable Sensitivity and Vibration Alert is especially designed for public security. It can be used in such places like airports, railway stations, docks, prisons, customs and frontier defense as well as quality control of medicine, food and other commodities. With low power consumption, a 9V battery can supply its working continuously for 40 hours. 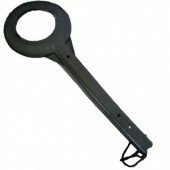 When it detects metals, it will give out beep sound, LED indicator or vibration. The working frequency of it is 20KHz and it uses a circulation switch (ON, OFF, a sound of light or mode of vibration) for controlling. 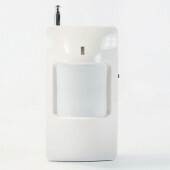 It owns low battery alarm and the sensitivity is adjustable. But the detecting distance vary according to the goods. For example, the distance of 1/2 pin is 10mm, while Model 64 pistol is 150mm. Besides the gross weight of this one is 0.42kg, which is not so heavy to hold. More detailed specifications are at detectorall. Go and see it by yourself and add one with both high quality and reasonable price to your chart. Your product is excellent with both good quality and sound price. I like it very much.